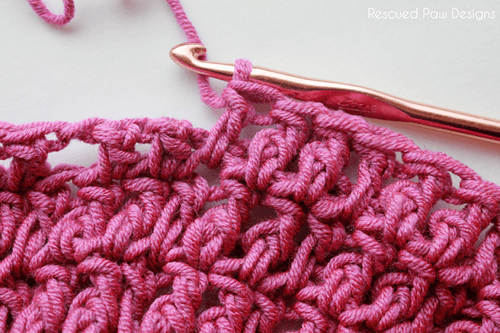 Learn how to make a quick crochet cable stitch with this chunky cowl pattern below! 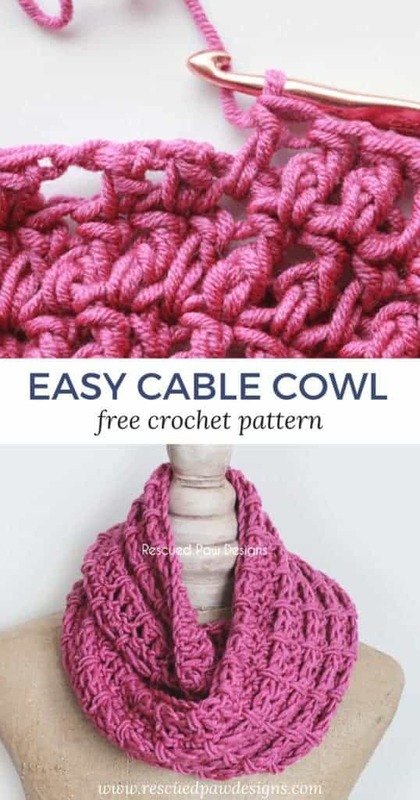 Free Crochet Cabled Cowl Pattern! I am ecstatic to be finally able to share what I have been working on for a while! The crochet cable cowl has amazing texture on the front side (created by the fun crochet cable stitch I used).. serious chunkiness! Meanwhile the crochet stitch from the front creates an interesting design on the back which means its so versatile that it could be worn both ways! 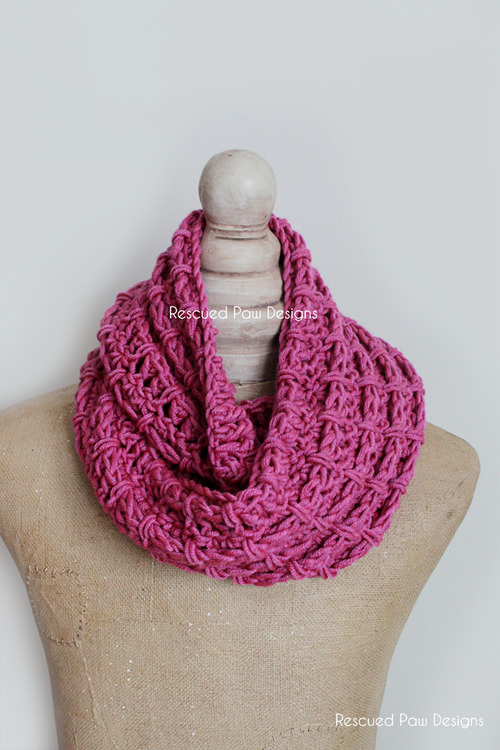 The Lion Brand Yarn thats perfect for this Cabled Cowl! 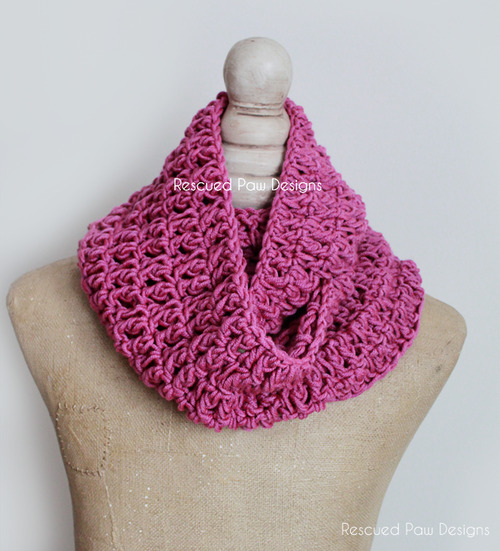 To make my crochet cowl I used Wool spun from Lion Brand Yarn in Orchid which is an amazing heather fuchsia pink color. Reminds you of spring right?? I think this is my new favorite color! Update 2019 this yarn is no longer widely available. As a replacement I would suggest using Color Made Easy Yarn by Lion Brand! It has some of the same qualities and feel as the original yarn I used. Enough chit chat…. read on down to get started today! Finished Size is approximately 60 inch circumference & 7 inch width. Fpdc will create the cabled look. ch 104, join last chain to first chain with a sl st to form a circle making sure not to twist. Round 2: ch 2, dc in next st, * dc in skip stitch from round below, fpdc once around next 2 dc’s from round below, repeat from * around ending with 1 dc in row below, sl st to top of first dc (not ch 2). Fasten off, cut yarn and weave in loose ends throughout scarf with yarn needle. You are done! 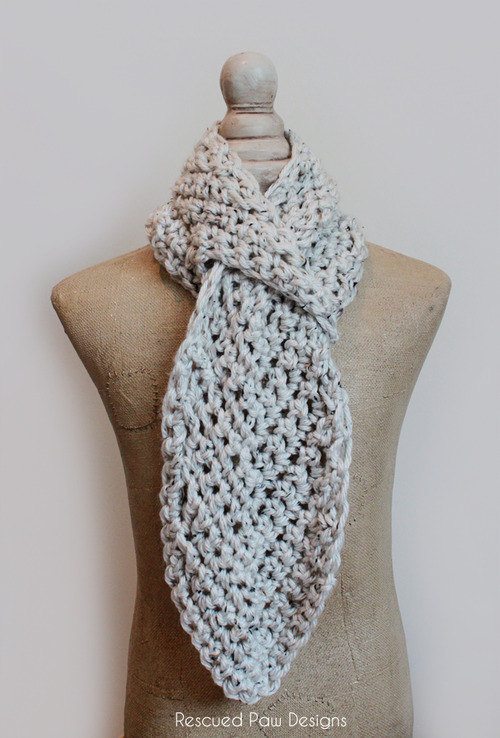 I hope you enjoy making this cable chunky crochet cowl! If you have any questions please feel free to contact me by sending me an email! If you loved what you saw here then follow along with me on my Pinterest page or even over on my YouTube channel too! Krista! We are soul sisters, for real! Your patterns (and sense of humor) are exactly what I’ve been looking for. I’ve been stuck in this crochet FUNK where I get lost in a Pinterest vortex searching for easy yet fun patterns that look impressive and wasting hours choosing/doubting yarn color combos (MY WORST ENEMY LATELY) and starting a project only to lose interest after a couple rows/rounds. Your blog is so refreshing and I think I’m actually going to finish something! Woo hoo! Thank you!! You rock! Thank you so much! I am so glad you are part of RPD! I hope you find a pattern to try out! Find me over on Instagram or Facebook too! Happy Crocheting!